Quinoa is one of those foods which has exploded in popularity in recent years. 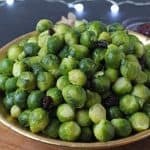 Packed full of protein and containing all nine essential amino acids, it’s a fantastic nutritionally dense food to incorporate into our family’s diet. The texture of quinoa can feel a little strange to children but I’ve found a way to include it in some of my family’s favourite meals without them even noticing! These Slow Cooker Quinoa Chilli Lettuce Cups are a big hit in my house. The kids will usually eat anything with minced beef and so I sneak in some quinoa too which is a really good way of boosting the nutritional content of their meal and bulk out the meat for very little cost. 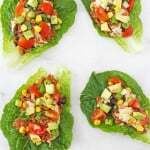 Packed full of protein these Slow Cooker Quinoa Lettuce Cups make a delicious, healthy and fun dinner for the whole family! Heat the oil in a skillet on the pan and add the onion and garlic. Fry lightly for 3-4 minutes until the onions start to soften. Add the minced beef and cook on a higher heat until the meat has browned. 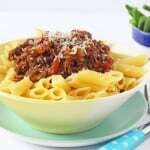 Spoon the onions, garlic and minced beef into the slow cooker. Add the quinoa, stock, tomatoes and spices and stir well. Cook on low for approximately 3 hours until the quinoa is cooked and has absorbed all the liquid. Stir in the black beans and corn and sprinkle the grated cheese on top. Put the lid back on the slow cooker and leave it for another 10 minutes until the cheese has melted before switching off the slow cooker. 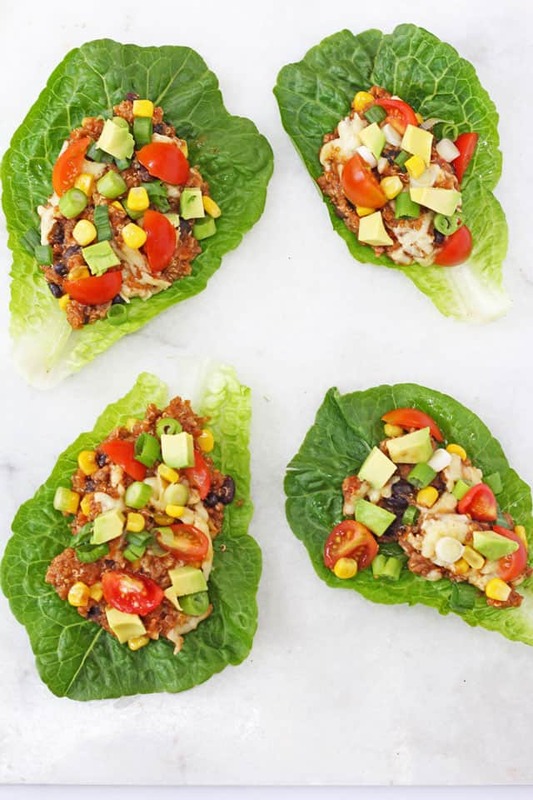 Fill each lettuce leaf with two large spoonfuls of the chili quinoa and top with a small handful of chopped tomatoes, avocado and spring onions. Serve immediately with salsa and sour cream (optional). 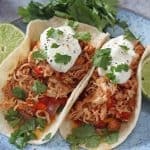 These were a much tastier and healthy version of the tacos that we quite often like to have of a weekend as a treat tea. Brilliant as we don’t need to just have them as a treat anymore!